You can contact us if you cannot find your answer here. Which special promotions do you have? 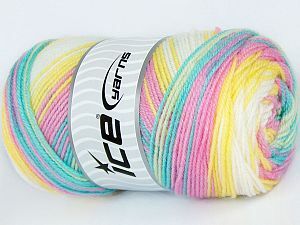 We have Tuesday Promotion, Garage Sale, and Bargain Yarns. Tuesday Promotion is the most famous sale. We offer a large amount of items with excellent prices for only Tuesday each week. Because of the time difference, Tuesday Promotion lasts in about 36 hours. What is the 'Garage Sale'? Garage Sale is a limited time promotion where we offer the last lots of discontinued items for a limited time. 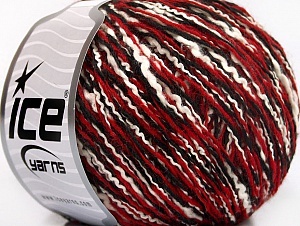 Bargain Yarns are seleted items where we offer for great prices for a certain time. There is no time limit for the bargain yarn, but an item may no longer be a bargain yarn after a certain time. 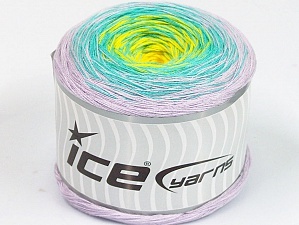 As yarn paradise, and ice yarns, we have many many type of yarn. There are also some yarnw where we offer as 'sale' according to their characteristics. We collected all of these yarns and additionally, the yarns that has only one color left to a new group called Closeout Yarns. In short, all items under this category has only one color left. How can I find an item I am looking for? You can either do a search for the item, and matching search terms and results will be shown as a search suggestion field. You can also view results directly when you click search or press enter. What is the 'Shop by' tap, and what are 'filters'? Under shop by tab, you can view filters of our items. You can filter the item you are looking for by just clicking the type you want. We ahve pretty much filter options, and we are sure it will not take time to find just the correct item you are lookign for. 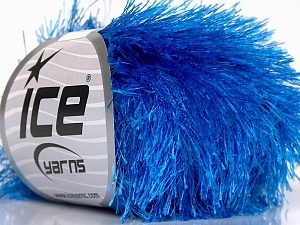 We have tagged each yarn with several keywords, and best describes that yarn, so that items can be found easily. For instance, if you are looking for a self-striping merino yarn, you may not find from the category page, but you can find that yarn either clicking 'merino' yarn tag, or 'self-striping' yarn tag. What is the 'New Types' field? In this field, you can see our latest yarns added in the lst two months. What is 'New Colors' field? 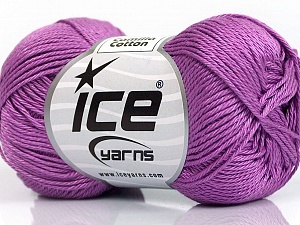 In this area, you can find the latest colors added to the yarns. Do you sell knitting needles and accessories? Yes, you can find needles and accessories either from the banner at hoem page, or from categories tab. Do you sell already knitted items? Yes, we also sell hand-knitted items. You can find from the banner at hoem page or under knitted items link at categories tab. How can I add an item to my cart? You can add any item to your cart and check out from either the item's page or from the lists. Do you sell single skeins? No. We can only sell items as packages (lots). Shipping costs are calculated based on the shipping coutry of your order, and the amount you buy. We apply the rates directly we get from shipping companies. Shippping seems high for two reasons. 1. The prices are low, and shipping seems high. 2. Items come from Turkey. If you check any shipping rates from your country to Turkey, you will also agree with us that the shipping costs are more than reasonable. What does coupons do, and how do I get one? Coupons allow you to get a defined discount on your orders. We give coupons either to our resellers, and wholesale customers to apply their pre-defined discount ratio. We also give coupon codes either from our newsletters, or from our facebook, and twitter pages. Please follow us for them. How can I change the amount of an item I have added to my cart? You can either do that at item pages, or at checkout process. We have express and regular shipping option. Which countries do you sell? We sell worldwide. You can buy from any country. Can I select any address for shipping? Yes, you can select any address for shipping. You can make payment with credit card, PayPal, Western union, or bank / wire transfer. During checkout at shopping cart, if you select credit card as payment method, you will be redirected to our credit card processor's secure page, and once the payment is completed with success, you will be redirected to our website again. If unsuccessful, you will be informed so, and you may need to authorize payment from your bank. How can I make a PayPal payment? You will be redirected to PayPal's secure website when you place your order. ıf you cannot successfully make a payment, you can click the link on your order e-mail to make a payment. I don't have a credit card or a PayPal account. How can I make payment. You can make payment by either Western union or bank / wire transfer. I have placed the order, then what? You will either be redirected to payment page. After payment page, you will receive an email including the order details. How can I understand that I have paid for the order? You will get a Payment Notification email including the payment information for your order. You will receive a Shipping Notification email including the time your order was shipped, the courier and as well as the trackign information. In your shipping notification email, you will find your tracking information. If you do not receive email, please check your junk mail folder, and ensure that you have entered a correct email address. If you still don't receive, you can just contact us with your order information, and we will assist you about tracking the order. The delivery time is just 2-3 days for the items sent via DHL. For regular registered mail, the delivery time is about 2-3 weeks for Europe and 3-4 weeks for other countries. What can I do if I do not receive my order in state delivery time period? You can track the status of your shipment from the link we sent via email. The shipment might have been delayed because of address or phone number problem. You can also contact us for any shipping-related issues. Can I change my shipping address after the order is shipped? For regular registered mail, NO. For express shipping options, we cannot guarantee that. If the item is not delivered, and is not too late to change the address, we are able to do that. My shipment is at customs, what can I do? Usually, even the shipments are examined at customs, they pas customs without any cost or delay, but sometimes, customs may require more documents. We will provide all details if needed. Do I need to pay customs fees for the items? Usually no, but for larger shipments, additional customs charges may apply. These costs are under recipient's liability. I have received my shipment, but packaged and skeins are damaged, what should I do? Please let us know about it. We will contact the courier about it, and we can either send another one. I have received my order, but the skeins in one package do not match, what should I do? Please inform us about the problem, and we will immediately find a solution. But please be sure that the type of the item is not a self-striping yarn. I have received my shipment, and I just don't like the item, what should I do? You can return the item for a replacement or a refund. For this case, return shipping is at your expense, and original shipment is also non-refundable. I have received the shipment, but the colors may seem different than photo, why? Although we try to do our best to give the original color of the items, and use the best equipments for this; few colors may seem slightly different on photos. This is also because of different screen characteristics of computer monitors. Please take this into consideration about the colors. Beautiful Yarn.Prompt delivery. Excellent value. Would highly recommend AGAIN! Thank you! This is perfect for a baby boy & his momma loves it! Love your yarn! I'm very pleased with my purchase. It is exactly as the seller described it. Exactly what I wanted, super fast shipping, I will buy from you again, thanks!